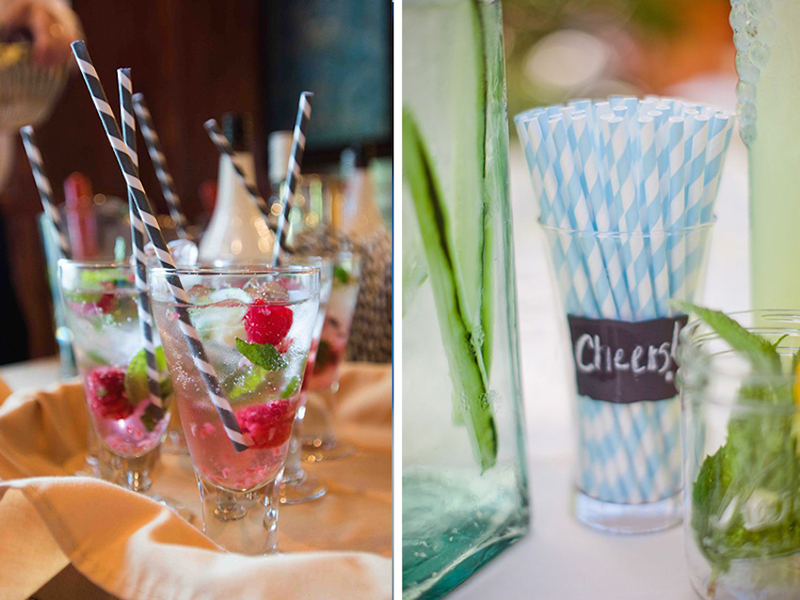 Find inspiration for jazzing up your cocktail hour with these awesome embellishment options for drinks. When it comes to embellishing cocktails, most people add something from the usual lineup and call it a day. A lemon wedge here, a swizzle stick there, and for really festive occasions, perhaps an extra maraschino cherry or two. For your wedding, however, the norm won’t do. 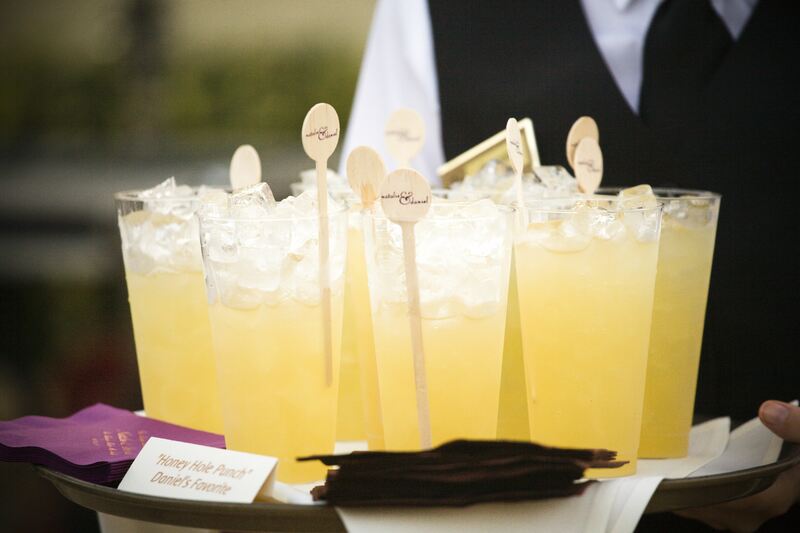 You’ll never have a more important audience to wow, and with so many fun ways available to make your beverages stand out, why not make the extra effort and show just how specific your wedding details can be? 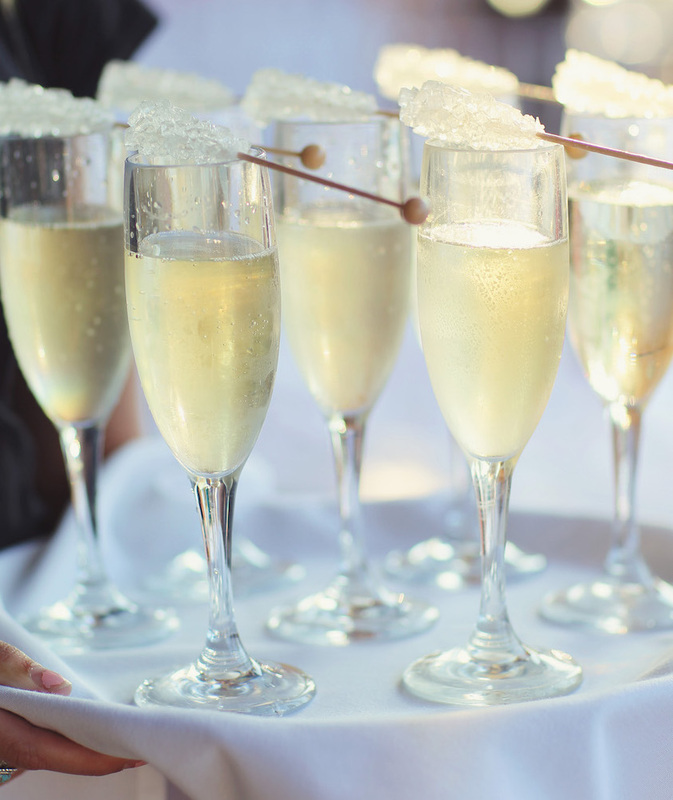 Check out six of our favorite ways to dress up cocktails below, and be sure to click on your favorite images to see more fabulous details from the real weddings to which they correspond. 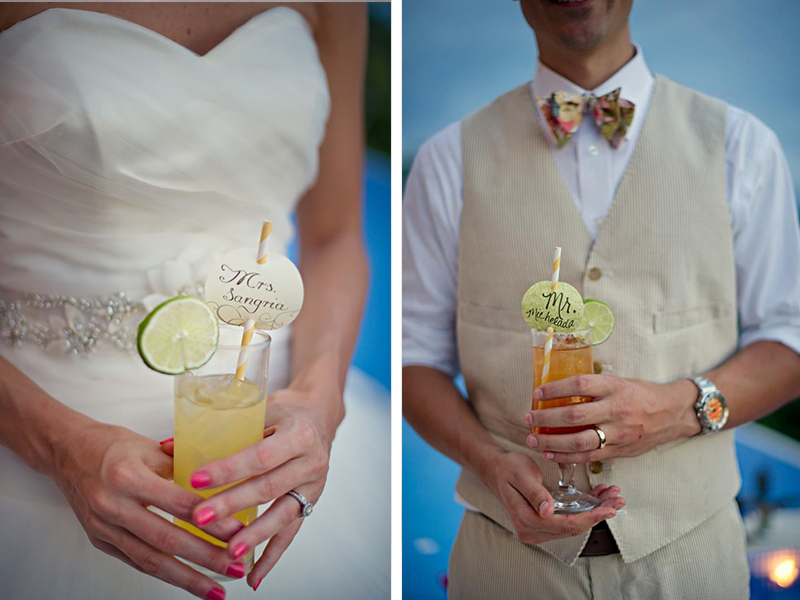 Discover more wedding cocktail ideas in our photo galleries! 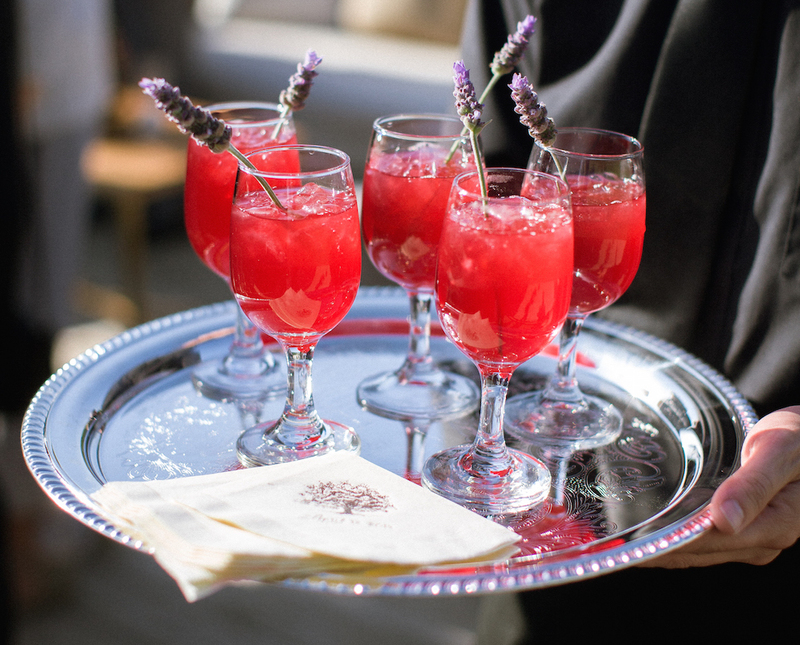 If you're having an outdoor wedding, be sure guests stay hydrated with well-decorated drink stations and be sure to have some non-alcoholic beverages available to offer to guests.